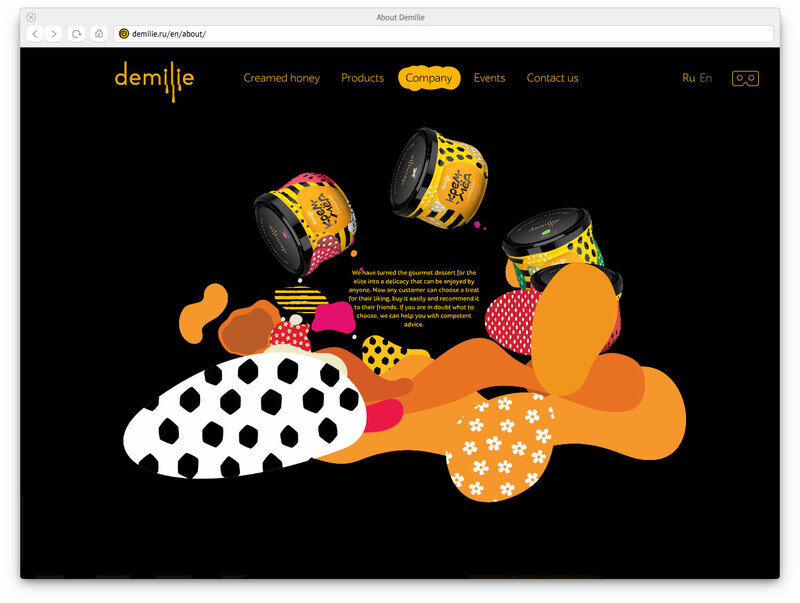 The honey producer’s website is all about twisting, turning and mixing. The website is exciting to explore, watch everything that’s going on and try to guess what will happen in the end. The company does not reveal technical details of creamed honey production, but the secrets only arouse curiosity. 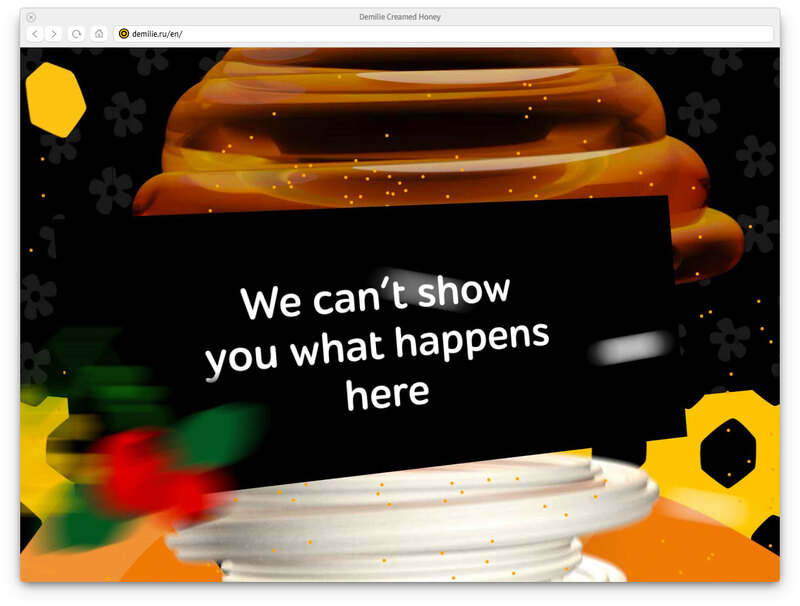 On the product information page the visitors find themselves in zero gravity with jars of various flavors of creamed honey flying around a huge colorful “sausage.” Catching any of the jars with the cursor presents it front and center to help recognize it on store shelves later. The hypnotic company history page submerges visitors into the depths of details. The viewers need to fly to the next paragraph by scrolling the text and pushing away incoming objects.